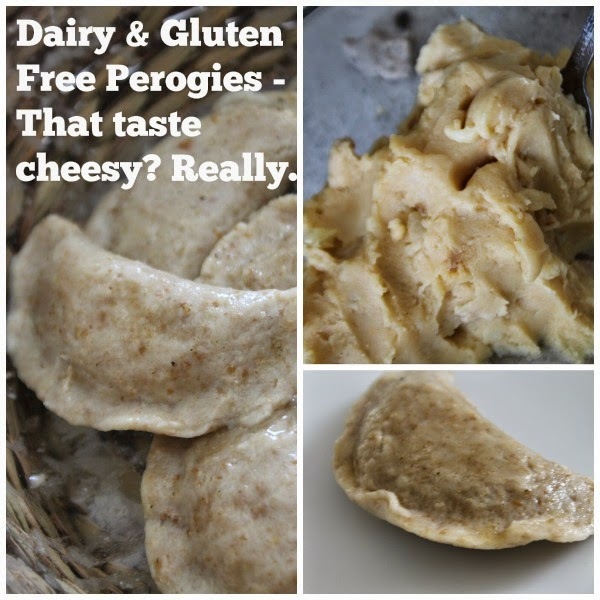 MamaEatsClean: Dairy & Gluten Free Potato Perogy Filling - Cheesy with a few Polka's on the side! Dairy & Gluten Free Potato Perogy Filling - Cheesy with a few Polka's on the side! I took a bit of a "break" from blogging but I'm back. We were busy on a mini-vacation and then had a "Ukrainian weekend". 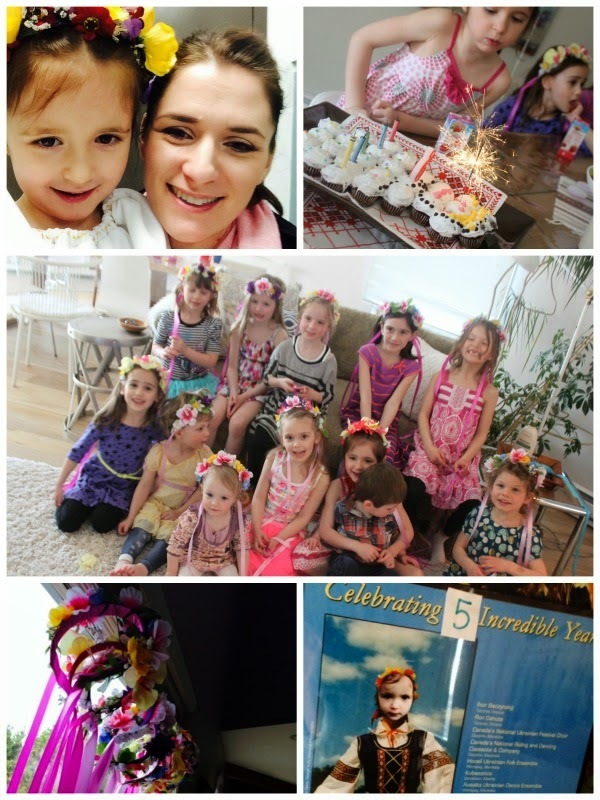 My daughter wanted the theme of her 5th Birthday party to be "Ukrainian". Who am I to complain? And then we had my daughters' first ever Ukrainian Dance Recital. So I have been busy. And so HAPPY! For those of you that don't know me well - the idea of spending the weekend immersed in Ukrainian music, food and dance is kinda my thing. I'll share a couple of pictures from the party just for kicks. We love theme parties. But the key to any good party is the food. And unfortunately the staple of the Ukrainian feast is the good ol' perogy. The cheesy, wheaty, inflammation-inducing perogy. A while back I developed a gluten-free, vegan perogy dough. That's the dough I used again and it worked out just fine. Warning: gluten-free dough is not that forgiving. I'm an experienced roller and pincher so I managed to make it work. If you are a newbee to perogies I apologize in advance if you struggle with it. You can always just use this filling with gluten-free lasagna noodles to make a perogy casserole if you aren't a fully-qualified Baba like me. Or look for an alternative gluten-free perogy dough. The one I made was purposefully simple (i.e. few ingredients) so I used an all purpose gluten-free flour blend. If you want to get fancy (and use more flours/ingredients) you might be able to make something a bit more pliable (and forgivable). These were a big hit with my daughters'. And I think my guests were pleasantly surprised that gluten and cheese free perogies could be so PLEASANT. Peel and boil your potatoes. While the potatoes are cooking, fry the bacon and diced onion with 1 Tbsp Earth balance until tender. About 4-5 minutes on medium heat. After the potatoes are boiled and drained, put them back in the pot. Add all remaining ingredients. Mash together until fully combined and smooth. Let cook on counter until warm and then put in fridge to cool entirely. This will take a few hours so you may want to do it the night before you are assembling the perogies. Use the filling with your favorite gluten free perogy dough recipe. Or layer the mixture in between cooked gluten free lasagna noodles and baked for a delicious perogy lasagna. Our Ukrainian Weekend - well some of it...........Mommy with her little Uki at her first concert, Avery blowing out the candles on her Matryoska doll cupcake-cake (not my best decorating job but vegan and the kids actually gobbled them up), the little guests with their VINOK's (yep- that was a major glue gun project) - don't they look pretty, the vinok's, and a my creepy decorations - my daughter's face superseded on an old dancing poster of mine. LOL. I love it. She hated it. We also did a Matryoska doll craft, had a Polka inspired Freeze dance party and ate cabbage rolls and Kulbasa. Mommy did a bad job of getting pictures.